Aug 3 ~~Harvest has begun! We had a VERY dry summer and have been irrigating all summer it seems! We had a three inch rain all at once in June, and it has been measured by the drops since! We might get 20 drops, 5 drops…we have nearly forgotten what the wet years were like! Anyways, harvest is here! We are harvesting our Rocamboles first! They come on a little earlier than the Porcelains! 11 days of harvest! 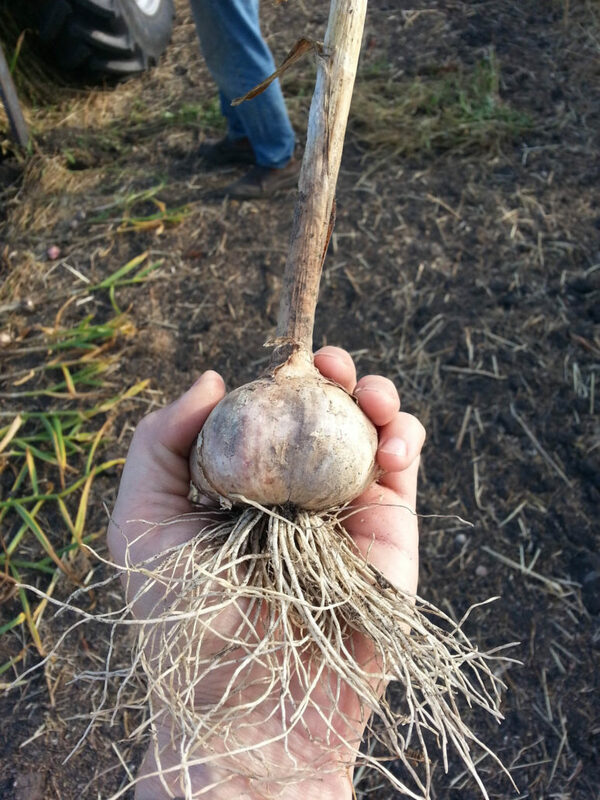 We are able to lift about 10,000 bulbs a day give or take. The weather, as I mentioned, is beautiful–kinda like the Arizona desert at the moment. Lots of drinking water required, and these are the days I am glad I have buried some much needed prepared meals in the deep freeze! https://saskgarlic.ca/wp-content/uploads/2017/03/20130830_170618.jpg 2100 1575 saskgarlic https://saskgarlic.ca/wp-content/uploads/2017/03/logo-dark-2.png saskgarlic2017-08-14 12:25:362017-09-05 12:31:29Aug 3 ~~Harvest has begun! July~~A nice break from weeding Sept~~ Sending out orders!